Amway Global – Is This a Program You Should Sign up to? A lot of people are interested in direct selling and network marketing. 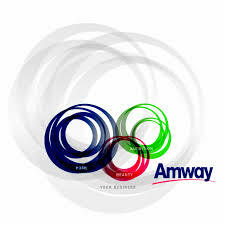 One company that offers opportunities in this range is Amway Global. Let’s take a look at who they are and what they offer. This way, if you are considering joining them, you will know exactly what to expect. The company is one of the oldest of its kind in our country. They first opened in 1959, at which point they sold a single product, which they did locally. From thereon, however, they grew exponentially until they became today’s Amway Global, with a known presence all over the globe. Indeed, some 3 million people in no less than 80 different countries now own their own business through Amway. Over the past few years, the annual sales between them have been over $10 billion, achieved solely through the international distributors’ network. Amway Global offers a huge range of products, including household cleaning, nutrition and wellness and beauty. Additionally, they offer air and water purifiers, as well as healthy cookers. All of their products are designed to help those who want to live a healthy lifestyle. What sets them apart, however, is that their products are highly competitively priced. Their products are exclusive and luxurious, but they can be purchased at retail prices. In order to make sure their products continue to be top of the range, they also own their own Research and Development labs. If you are interested in working through Amway Global, you firstly have to register as an IBO (Independent Business Owner). This is what will allow you to access the Compensation Plan. It is generally best to do this through an existing IBO, which you should be able to find in your own geographical location. They are also able to explain the compensation plan and provide you with marketing information. When you sign up to the program, you will be able to benefit from the fact that this is an existing and established corporation in this specific field, and you will also receive a whole lot of training. As an IBO, you will earn by selling Amway products. You purchase these at a discount and then sell them on at a profit. You will be provided with suggested prices, which you should follow in order to be able to compete with the others and still guarantee an interesting income. Additionally, by sticking to the prices, you have more chance of finding others who want to sign up as an IBO through your own business. This is how you earn your second line of income. By building up your own network of IBOs in your downline, you will receive an additional bonus based on their generated sales. All of this is tracked through Business and Point values, meaning you always know how much you earn each month. Additionally, you can work your way up the ranks, depending on how much you and your team are able to sell. 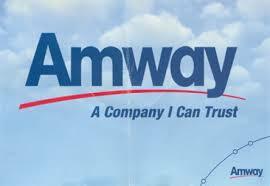 Amway sets certain targets, and the more often you meet these targets, the higher you will climb. You could achieve ranks such as diamond or platinum, which each have additional benefits. How much you can earn will vary greatly depending on your level of commitment and effort. Some claim that it can be as high as several hundred thousand dollars a year, but this is perhaps something to aspire to, rather than something to expect straight away. In order to start with Amway, you will have to pay the start-up cost of $62. You can choose to also purchase a welcome product kit at $83.99, which will also start you off on your points for the incentive bonus check. However, you should be able to earn these fees back very quickly. The company offers fantastic training and support to all their IBOs. You will gain access to a wealth of information on how to recruit and increase your sales. They also offer a range of online strategies that will help you really get to know the business and that will help you to avoid making very costly mistakes. The company is very established and has years of experience in these models of working. Their products, which focus on the healthy living market, are easy to sell, particularly as more and more people are becoming interested in this. All products are exclusive to Amway and have gone through extensive research. However, they are incredibly affordable. There are various opportunities to earn an income, including through incentives and team building. The company expects strict compliance with the law, which means you know you can never get involved in dodgy sales tactics. The start-up cost is very low compared to various others in the field. Additionally, you can purchase a discounted welcome kit, which also helps towards your incentives. As such, you would actually experience double savings. Although the training is extensive, most still find it insufficient. However, this is why it is so important that you have a good mentor, as they should be there for you in order to provide you with further information. Because Amway has been around for so long, there is a degree of market saturation. On the one hand, it is great that it is such a recognized name, but on the other hand, this means that it is hard to get into the market. Amway Global is a very well-established, global company with a fantastic reputation. They will do all they can to continue to deserve that reputation, which is one way of guaranteeing that you will not be scammed. However, there is a certain degree of market saturation, which means you do have to make sure that you find an IBO mentor who is really good at their job and can make sure you are still able to make it in this world. All in all, however, I fully recommend this particular opportunity.